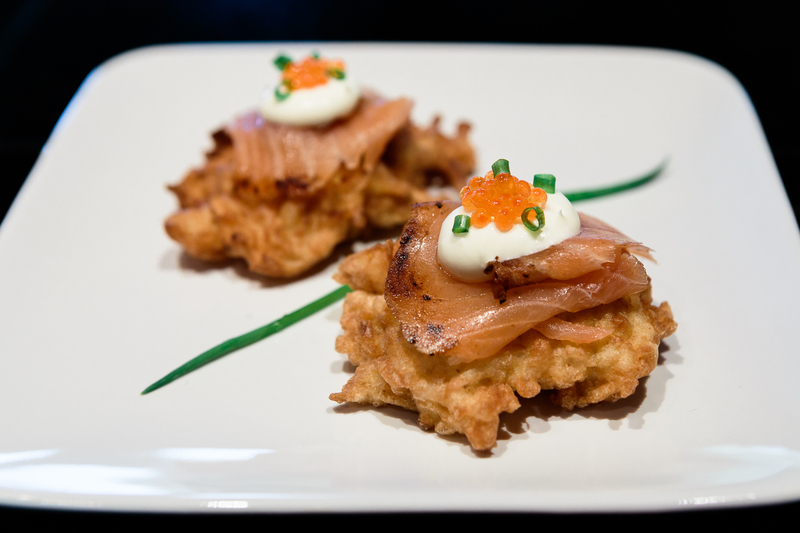 Here’s a touch of luxury for your holiday entertaining: crisp-tender fluffy latkes topped with herb-flecked smoked salmon, creamy creme fraiche and trout roe! 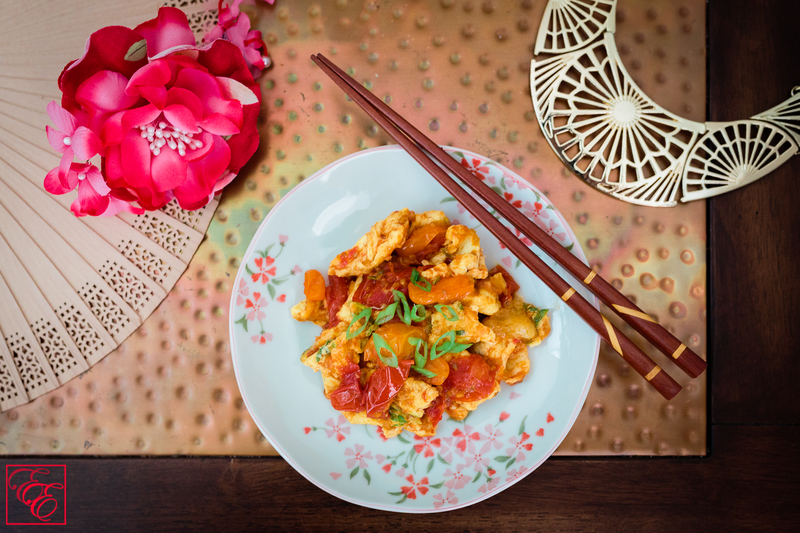 It’s just one of the many stand-out recipes from the cultural smorgasbord that comprises ‘The Grand Central Market Cookbook’. As an unabashed foodie, I’m always eager to explore food destinations. The Grand Central Market in downtown Los Angeles is one such place. Since I have yet to visit in person, I delighted in the opportunity to learn about its history, vendors (such as the cheekily-named ‘EggSlut’), and breadth of delicious ethnic dishes through the self-named cookbook. The Grand Central Market opened in 1917: a destination uniting independent vendors such as bakers, fishmongers, butchers, produce vendors, florists and delis. The market went through up and downturn cycles: it flourished in the 1940s, floundered in the 1960s (a combination of residents preferring to live in suburban neighborhoods over city centers and exacerbated by Watt riots violence), and reached 40% vacancy by the time of the 2008 financial crisis. In 2012, the owner, Adele Yellin, saw new life – promising new restaurants and a growing population of young professionals – flowing into downtown LA, and put together a team to rejuvenate the market. The team rallied and created the present-day market around the motto “From food, community” and marketing tagline “Amazing Food. Amazing Place”. The ‘Grand Central Market Cookbook’ is a heart-warming collective of recipes from each of the market’s vendors. It merrily criss-crosses culturally across El Salvadorian pupusas, Mexican nopales salad, Thai pad kee mao, vegan artichoke hot ‘wings’, Japanese karaage and Southern-style banana pudding. I would imagine that such a mish-mash of recipes would feel disorganized and awkward. Instead, as I read page to page, the vivid photos of vendors and dishes and backstory about many of them made it feel like a leisurely stroll through the market, with warm greetings and the gift of each proud food provider’s secret recipes. In short, it was absolutely delightful and felt like a fantastic substitute to visiting in-person. Some of the recipes may sound basic on first glance at the ingredient list, but their value is within the technique-sharing. 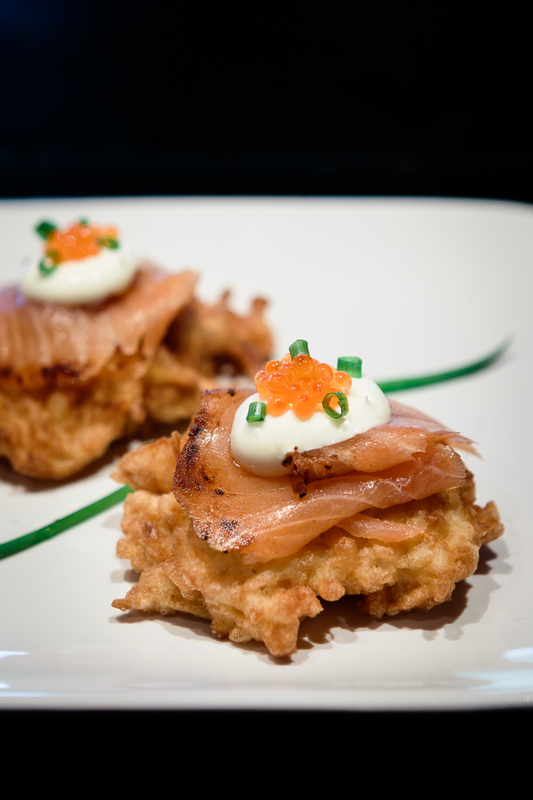 The latke recipe below is one such example. 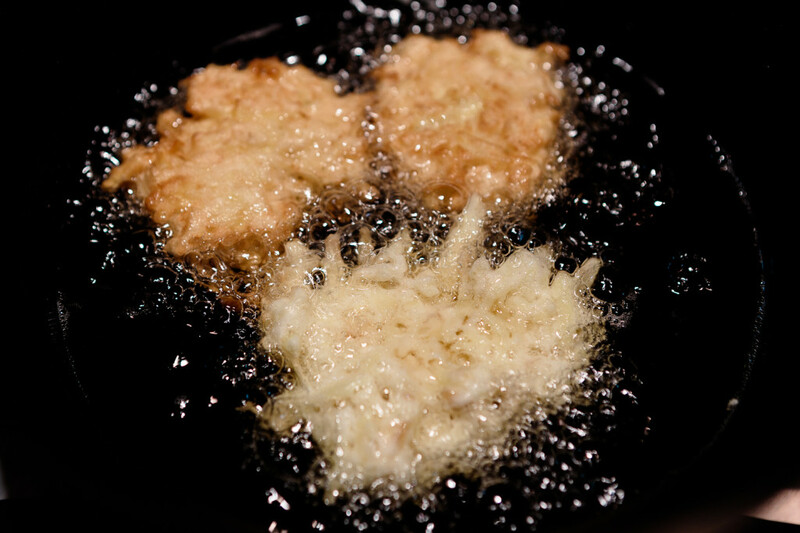 A standard grated potato and onion pancake transforms into a cloud-like fritter with a dual parboil and deep-fry cooking process. Gilding it with lox, creme fraiche and caviar instead of applesauce elevates it from a warming breakfast to a decadent indulgence. 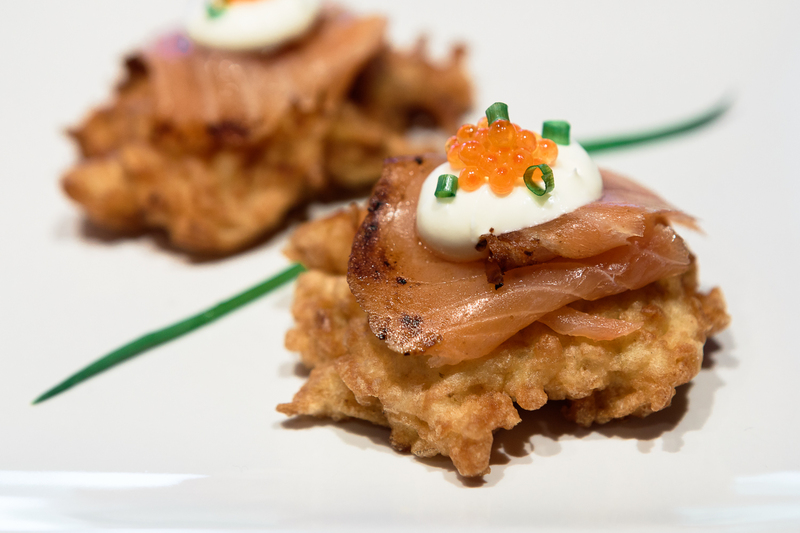 I love the contrast in textures and temperature: the fritters lightly-crisp warmth, the creamy coolness of the creme fraiche and the refreshing pop of the bright trout caviar. I’m fairly sure that you’ll enjoy it just as much! Bring a large pot of salted water to a boil over high heat. Add the potato-onion mixture and blanche for 45 seconds. Drain in a colander, rinse with cold water, and squeeze to release as much water as possible. 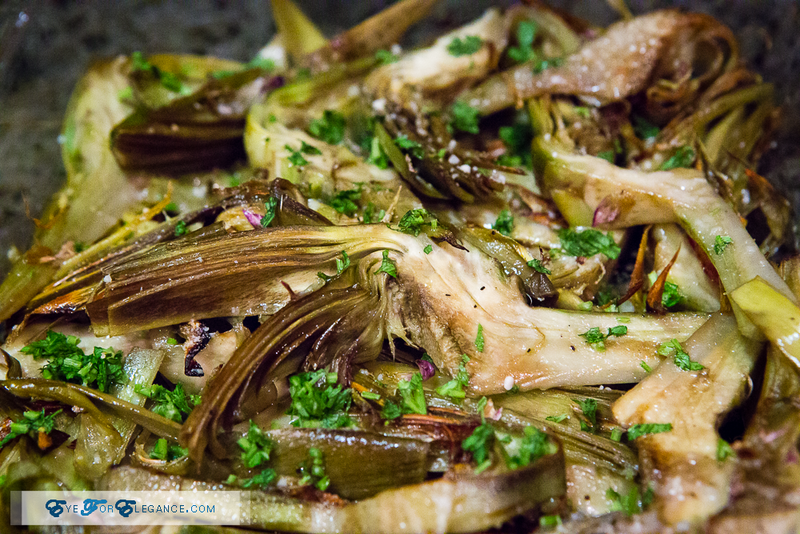 Spread the mixture on a sheet pan and refrigerate until cool, about 15 minutes. 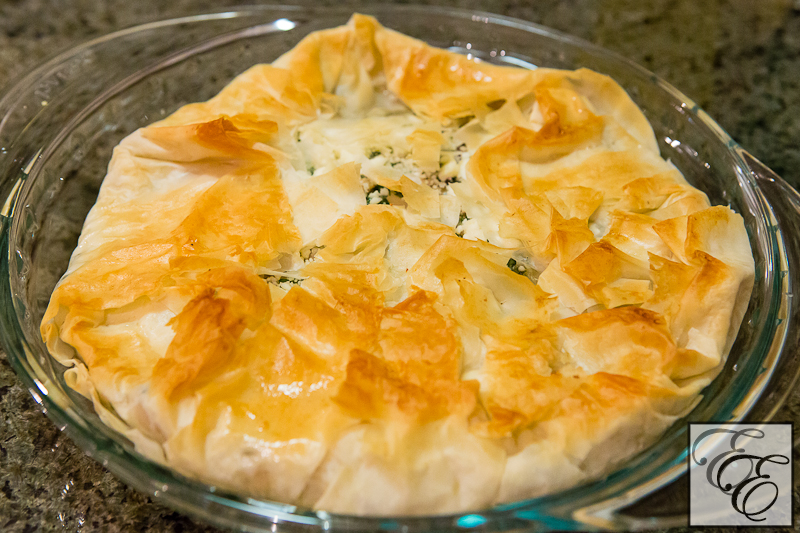 In a large bowl, combine the cooled potato-onion mixture with the eggs and flour. Season with the garlic salt and pepper. Heat 1/4″ of oil in a pot (I like to use this tempura fryer because it requires less oil to deep-fry) over medium heat. Shape ~2T dollops of the potato-onion mixture into a flattish shape and slip into the hot oil, working in batches and being sure not to overcrowd the pan. Cook for 2-4 minutes per side, or until golden and crispy. Drain on a paper-towel-lined tray. To serve, place latkes on a platter. Top with a slice of lox, a dollop of creme fraiche, a spoonful of caviar (make sure to use a non-metallic spoon), and a sprinkle of chives.